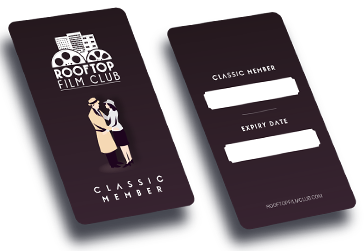 Support Rooftop Film Club and continue to get access to some of the best rooftops in the world, with cinema events like no other. This year we’re bringing back free Member Mondays, which are bigger and better than ever. We believe it’s our duty to give our audience the chance to see films you might never see on the big screen, or films you’ve seen and love and want to see again in their full cinematic glory. And don’t forget, take your card to our rooftop bars and receive 10% off every round, or use your membership to access free tickets, discounts on every visit and become part of the biggest growing outdoor film series around the world. Check out our terms and conditions. 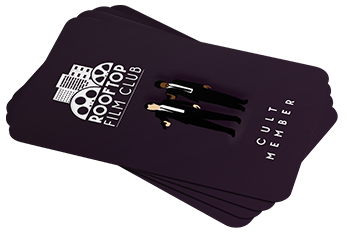 Two free tickets at Shoreditch, Stratford or Peckham, £3 off ALL future Rooftop Film Club tickets, 10% discounts across selected rooftop bars and food, free access to Member Mondays plus much more. Member Mondays this season will stay true to the core of Rooftop Film Club’s programming – cult film, classic film, and new releases, but with a twist… The programme will bring you alternative classics you should have seen, but likely didn’t, new releases you might have missed, but really shouldn’t have, and our very favourites in classic cult and what we believe to be budding-cults-in-the-making. It will be a blend of feature film, documentary, short, biographical. Because what’s better than a fantastic film? A fantastic film under the stars, compliments of Rooftop Film Club. Member Mondays only occur at our Bussey Building, Peckham, venue. The next Member Monday's event will be announced soon. Update your details and manage your account in our members area.